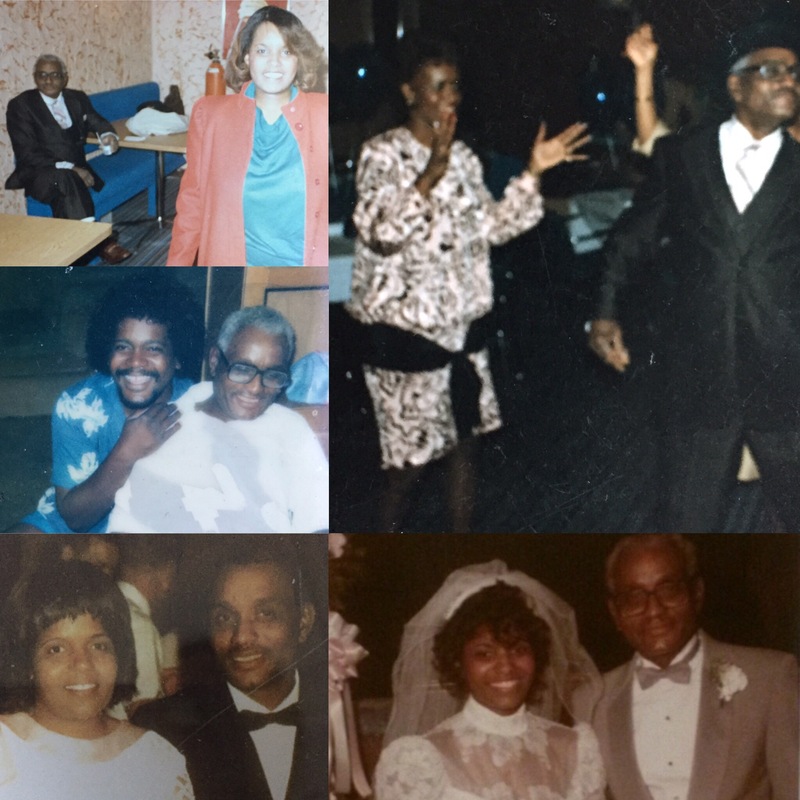 In Honor of My Amazing, Hard-Working and Dedicated Mother, My Maternal Grandparents, and The Legacy of Our Family! If you’re reading this, pause right now and say “thank you” to God, our Creator, because today wasn’t promised and you didn’t do anything yesterday to earn today. So show your gratitude and don’t let today be about you, let it be about God, and about His children. Monday and Tuesday’s scriptures shared in Breaking Bread, were sent to me from my mom, and I posted them as they were worded. I didn’t ask if they were her words or just forwarded from a third party. It didn’t and doesn’t matter. It’s the thought that my mom, pauses in her hectic day to spread God’s Word, Love, and Light. I want to thank her and honor her because she’s a giver, not a taker, and because through her walk in life I’ve learned so much about her, our family, and myself. While working a full-time job, my mom is also working extremely hard to take care of her mother’s needs, and to make sure that my grandmother spends her Golden Years with dignity. To make all of this happen my mom has to sacrifice so much in return—something she hadn’t planned for or thought deeply about before. Reading her Bible each day gives my mom the added layer of strength, courage, discipline, humility, faith, and belief that she needs to refuel and press forward. It’s not easy being away from me and my sister, and away from the state she desires to grow roots in, but she sacrifices the desire to spend quality time with us, to instead spend quality time with her mom, and to reconnect our large family in a different way. My mom uprooted herself to go back and live in a state she hadn’t resided in for almost 30 years (she was 6 years younger than me when she last lived there)—just to take care of her mother. She was only supposed to be there a few months to help with some small matters—or so she and I thought. It’s been two years and that reality bites at her core, and it stresses me and my sister out. But rather than dwelling on it until she spirals out of control, she looks for and to God’s Light. She sees and embraces the blessings along this journey. Some good and great things, both big and small, have come her way every single day she’s been there. My mom has also been forced out of her comfort zone. So things that she avoided doing while in Atlanta (or even when we lived in California), she now does, and she’s loving the peace that comes from stepping up and stepping out. She doesn’t have to wait for others to join her for an activity. If my mom wants to go to a concert or other event, she’s getting up and going by herself. I’m so impressed with her growth. She’s not going to waste anymore time and opportunities. Even when my mom gets blindsided by alarming news, incompetence of others, bureaucratic red tape, and lack of genuine support from where she needs it most—-my mom still finds the silver lining in those storm clouds. She’s an inspiration to me! I love my mother! My mom takes care of her mom because she’s supposed to, because God says so, because my grandmother raised and took care of her and now is the time to fully reciprocate. My mom takes care of her mom because that’s what she would want me and my sister to do for her. My mom wants for my grandmother the same things she wants for herself. The same things most of us want for ourselves, now and in our more “seasoned” years. Over the past two years my mom has successfully brought her family together for dinners and events. Her mother’s siblings, nieces and nephews, and at times even the grandkids. My mom wants my grandmother and her siblings to spend as much quality time together as they can. It’s beautiful to see immediate and extended family members hanging out, smiling and laughing, reconnecting and sharing, breaking bread together. I thank my mom for helping make that possible. I’ve seen cousins that I’ve never met before or haven’t seen in more than 15-20 years. Distance and time has kept many of us apart, but now through the momentum my mom has created, I truly believe this tradition can continue and will grow. I can visualize us hosting our own family reunions for our ever-growing side of Catos, Butlers, and Stephens. We of course will continue going to the huge annual family reunions across the country, but we can also have our mini “Sunday Dinner” reunions to keep us connected as a unit. I do my best to help my mom however I can. I’m working to regain my strength so I can do more, physically to help out at my grandparents home. 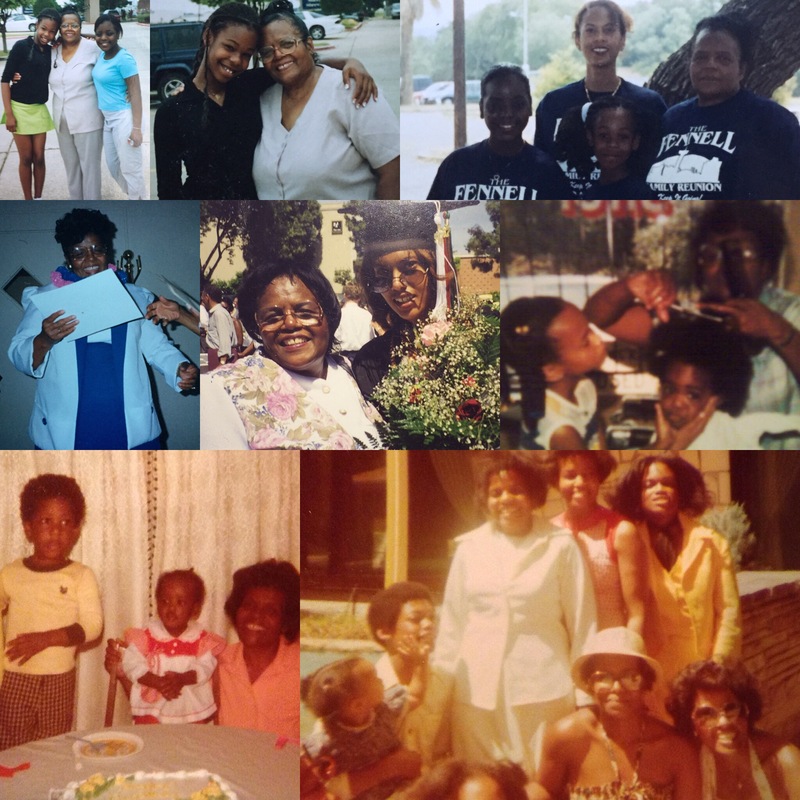 Mom and I have been working hard to preserve and celebrate the legacies of her parents and our family. My grandmother, Maxine (the grandkids call her “Mamacine”), is in her early 80s and is fighting Dementia. You see it in her eyes. She is a fighter. Our family ignored the symptoms. Looking back in hindsight, some of us can see what we overlooked for years. This once-jet setter is now confined and restricted mentally, emotionally, and in many ways physically and financially (because she doesn’t have the freedom she once had even several years ago). This isn’t how my grandmother envisioned her retirement years. She saw herself traveling and spending quality time with family and friends. She was a keeper of memories, and as you sort through the things in her house you see the things she did and items she kept for family members. I wish I had recorded my phone calls with her pre-2013, I would be able to cherish our laughs, the stories she would tell, the warm memories she would reflect upon, the corny jokes she would tell and the side-splitting jokes that I would blunder trying to later repeat. My mom is driven to give my grandmother access to the type of environment, people, and resources that will lift her up in dignity, so that she can truly live and feel the love of her remaining years—no matter if it’s less than 10 years or more than 20 years. My mom wants to make sure that they are dignity-rich years. 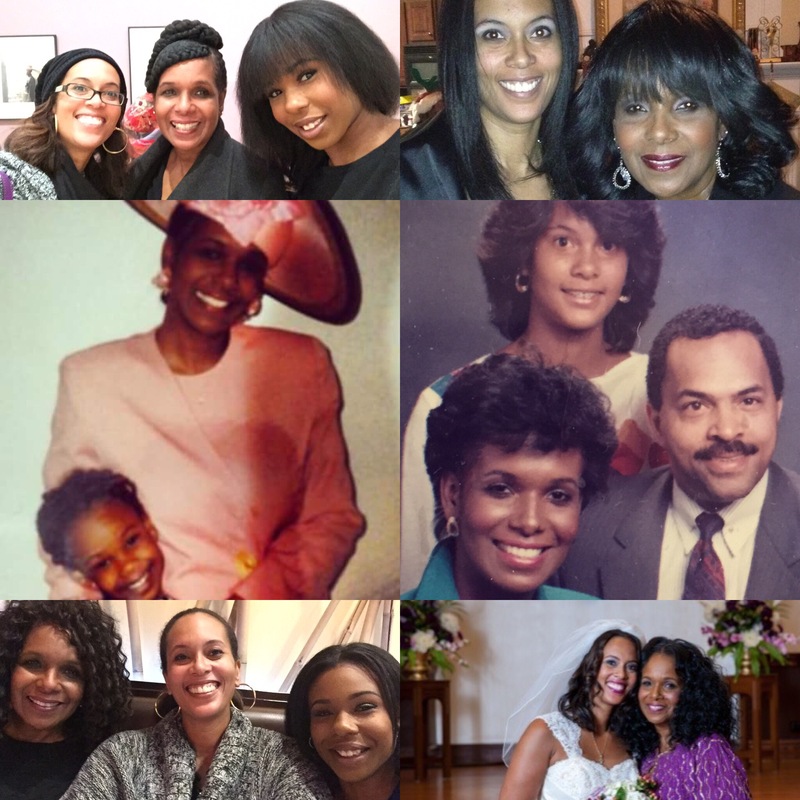 She wants to honor her mother, a retired entrepreneur, and preserve her awesome legacy. My maternal grandfather, Elisberry, aka “E.L.” and “King Fish”, passed away in 1995 from work-related asthma, after spending one of his retirement days doing something in service of others. He gave and gave that day and overlooked the urgency of his symptoms, and by the time he made it home to give himself a treatment his lungs and body gave out. In his selflessness he sacrificed his life. My mom and I want to honor his amazing legacy, and guess what? We will do just that in the name of Jesus! I love every time my mom calls or texts me about a photo, note, letter, book, video, newspaper clipping, or other memorabilia that she has found in my grandparents home. To see photos of my cousins, my grandparents and great grandparents, my aunts and uncles, and family friends—it all brings me such joy, and even more so because I know that my grandmother was holding on to those things and was trying to hold on to those memories as her short-term memory began to fade faster and faster. So my mom works aggressively each day to separate the captured memories from the daily clutter that accumulated, so that my grandmother can walk back into her home and see and feel the memories and love she so longs to hold on to. My face today, my grandmother doesn’t recognize (she didn’t even recognize me at my 2013 wedding), but my faces from my past she knows. Just as she knows my cousins and her siblings from images of years ago. Soon my grandmother will be surrounded by these photos and many of these people, and we will reminisce over times well spent. We will cherish every smile and giggle she makes, and every story she can remember to tell. We will record these moments to share with generations yet born. Our family legacy is preserved or destroyed based on our actions today and tomorrow. My mom is determined to preserve the legacy of her parents, her family, and encourage other generations to do the same thing. Watching my mom these past few years has both hurt me and helped me. It’s hurt to watch her physically and emotionally in pain trying to accomplish what some people half her age would struggle (and possibly fail) to do. At the same time she has helped me to see life through her lens. I can now see how best to protect her now and in her Golden Years. I can see how to be the type of advocate that she is desperately trying to be for her mother. I can see the importance of taking the time to sort through the tangible and metaphoric clutter to get to the treasures that bind us to family, our communities, this world, and God. My grandparents epitomize what it means to be hardworking, God-fearing, and humble. My grandfather was one of the most honorable, gracious, loving, dependable, fair, faithful, and determined people that I’ve ever known. His lack of formal education did not stop him from accepting life’s challenges, having a long-lasting career, providing for his family, raising his children to achieve higher educational milestones than he, owning a house and turning it into a home (that I intend to restore and keep in our family for generations to come). My grandmother was an entrepreneur for roughly 40 years. I didn’t realize how much she taught me about being an entrepreneur. Heck, how could I? 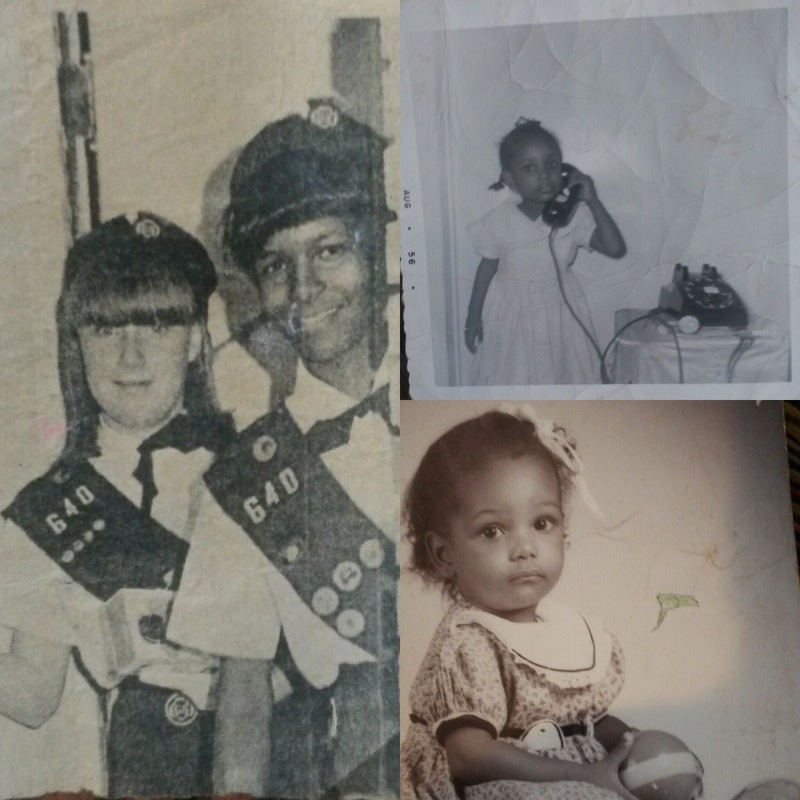 I didn’t even realize that all of those years growing up as a child I was watching my grandmother, the entrepreneur, in action. I just knew I liked going to work with her. I thought I was just watching a hard-working female barber working alongside nothing but men, with clientele who were also men. Here my grandmother was working in a male-dominated (segment of an) industry from the 1960s through early 2000s. She could hang with the men and lead barbershop talk, and no one questioned her place or role in their inner-circle. In my opinion my grandmother retired too early. But she wanted to travel more, see the world, and have more flexibility in her life and schedule. Unfortunately she still hasn’t seen parts of the world she dreamed about, so I send her photos and postcards whenever I travel. 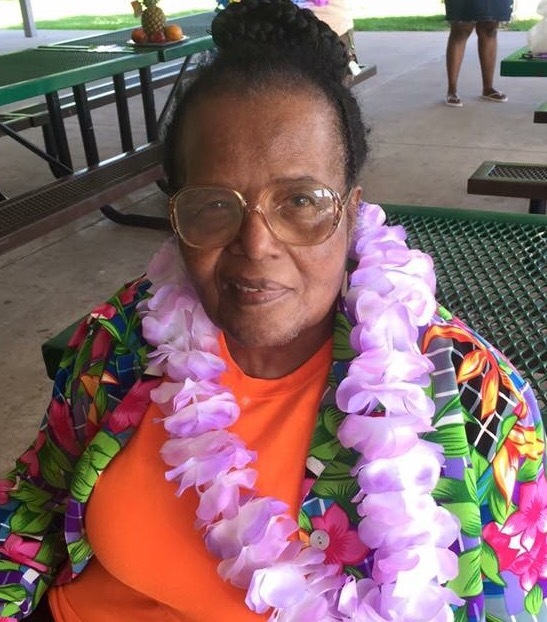 She always wanted to travel to the state of Hawaii, but we waited too long to plan a family trip and now because of the unpredictability of dementia, last year we chose to instead host a mini luau for her at a local park. She wore her lei and looked around in amazement at all of these faces that sang happy birthday to her, and she sat there wondering why they were celebrating her birthday so early since, “my birthday isn’t this month,” she repeated. I will always cherish the photos and videos from that day. I will make sure to do my part to preserve my grandparents, my parents, and our families legacies. My doctor told me that every time I’m with family that I need to take photos and record videos, because tomorrow isn’t promised, so we need to preserve and cherish today. What will be of your legacy? What will people say about you and your family? 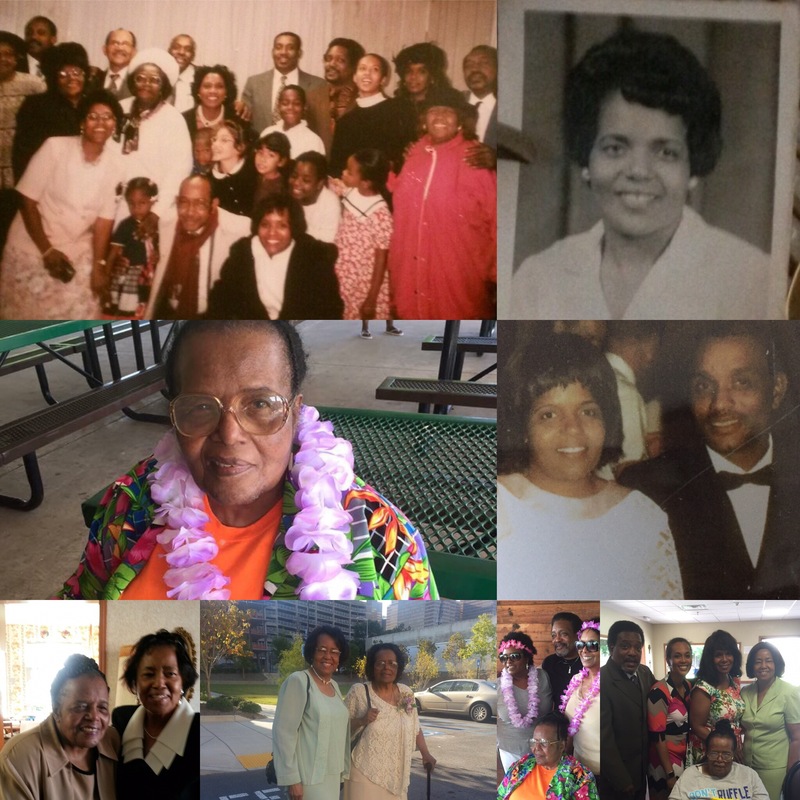 I share this story about my mom, her parents, and our family to share with you that we never know what tomorrow will bring that will derail our plans. But God never fails us. When times get rough you need to stay prayed up. If you have a close bond with your family, you need to interlock your arms and lift each other up in prayer. If your family is disconnected, you need to do your part to realign your unit through prayer and actionable steps. Forgive and ask for forgiveness. Heal old wounds. Let go of grudges from the past. Accept your flaws and the flaws of others, and rather than dwell on limitations—embrace the strengths that you all possess. We are only as strong as our weakest link! Don’t let pettiness divide your family. You may not have a tomorrow to make things right. Don’t allow yourself or your family to be content in mediocrity, for that lifestyle is an insult to God. You should be striving for greatness in all things—personally, professionally, spiritually, financially, and civically. You have an opportunity to make right the wrongs, to live your remaining days with dignity and honor, and serve as God intends—fully and without hesitation or regret. Who will you honor and celebrate today? Thanks mom. I love you!!! Thank you so much Sandy!!! I love you!!! They say give flowers to people while they are still alive…I’m trying to follow that beautiful concept. Thanks for reading Mom Nita!